We came across an unusual situation in which incorrect years (2000 and 2500) were shown in the X-axis of a Power BI report. Our questions about this issue weren’t specifically answered no matter how much Internet searching we did. We did find a workaround, and we’re describing it in this blog post in the hope that it saves someone else tearing their hair out! We created a Power BI report using data from the Act! Opportunity module. This simple report shows the count of opportunities won (Y-axis) over the time period (X-axis). The slicer in this report is the actual close year. The report works as expected when we select multiple years. However, we noticed issues with the report when we selected only a single year. Instead of the selected year (2015 in the example), the X-axis displayed the year 2000, which we did not select, even though it displayed the appropriate data for 2015. It also added 2500, a year that did not correspond with any data, and that did not even appear in the list. 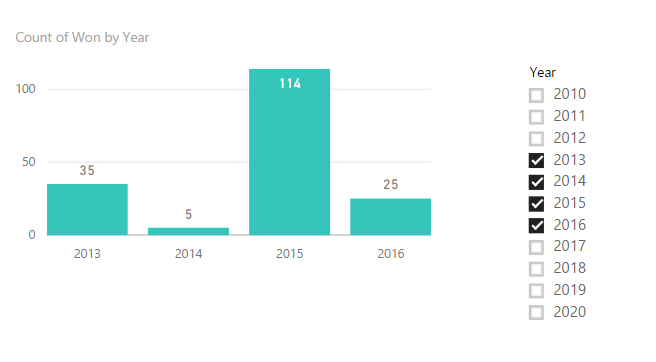 We get quite a few hits when we run a search on power bi displaying the wrong year. Some of them are listed at the end of the post, but my workaround is different from the recommendations I found on Google. When the issue is present and we select X-Axis in the Format section, we notice the Type drop-down is set to Continuous. Type allows us to choose either Continuous or Categorical. Most of the resources I found on the Internet say that in a report like ours, the Year should be set to Continuous and the Scale Type to Linear. I found that this setting didn’t work in the case at issue. But when we change Type to Categorical, the report appears as we expect. The other workaround that I have found is to create another Year column and make it a text field. We would then use the decimal Year for the slicer, and the text Year for the X-axis. However, the reason I don’t use this as my default is that we would then be bulking up our Power BI report with extra columns. I am really interested in what you think of my workaround, so please leave a comment. View a YouTube demonstration of the issue and workaround by clicking this link! Caldere Leads with the Top 3 CRM Leaders! Of the 20 most popular CRM software packages reported by Capterra, Caldere supports all of the top 3! Contact us today to talk about which of these are right for your company and how we can get you started quickly and easily. If you are already a user of one of these packages, let’s talk about how Caldere can make your experience even better and help you gain profitability and productivity. Have you ever had trouble with your Act!-Outlook integration? Here’s how Caldere helped a client with a difficult issue. One of our longstanding Act! 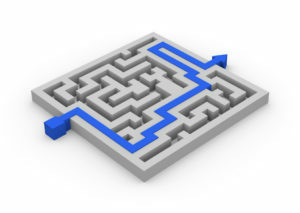 clients uses a complex system of several databases and has a few dozen users in total. Their data administrator is what IT support people consider a “superuser”, someone who has more experience and authority than most other people in her company who use the program. She’s smart, and has become knowledgeable enough to train new users and to deal with many common problems on her own. So when she calls us with an issue, as she did not long ago, we know it’s going to be an interesting one! When Act!-Outlook integration is set up and functioning properly, an Act! user can access e-mail from within contact records. They can start an e-mail with a contact by clicking within the contact’s record, the e-mail itself should show in contact history, and so forth. One staff member had lost the ability to use that Act!-Outlook integration functionality. The data admin knew the usual things to do, of course. First she made sure the staff member had the right permissions. She looked to see whether they were accessing the right database files in the right way, and she asked them whether Outlook itself had had any issues. She checked the staff member’s Act! Preferences to make sure the e-mail settings were correctly set as Caldere had recommended. But then she was surprised to see that E-mail System Setup didn’t show the check boxes for selecting either Outlook or Act! e-mail. The field where the options were normally shown was quite blank. All she could do was close Act! and call us for support. We contacted the data admin, and she sat with the staff member to consult while we set up a remote support session on the user computer. First we checked the data admin’s work to make sure we understood what she had seen and done. We confirmed that the options were not appearing in E-mail System Setup, and we made sure all the easiest fixes had been tried (it’s always best to try those first!). Then we moved on to intermediate-level diagnostics. We verified that the user was running compatible versions of Outlook and Act!, and that there were no known conflicts between the Act! plugin for Outlook and any other Outlook plugins. The user’s Outlook profile looked fine. There were no identifiable compatibility issues between Act! or Outlook and any other software installed on the computer. We moved on to the more advanced-level fixes. These can involve fixing damaged programs, editing the registry, or as a last resort uninstalling and reinstalling Act! itself, so they would not have been things the data admin would have tried by herself. One problem that is known to cause the E-mail System Setup to show blank is related to Microsoft Visual C++. Since C++ is a Microsoft product, not part of Act!, only limited assistance is available from the Act! vendor’s customer support. We wound up removing the suspected problem redistributable and reinstalling it from a verified good download. We then downloaded and ran a complex batch file that reset several functions and ensured the newly reinstalled redistributable was operating properly. After applying that fix, we rebooted the user computer and checked to make sure the options appeared in E-mail System Setup (they did, and everyone cheered). We verified that Act! worked as expected once the preferences were set according to our usual operating standards. Then we opened Outlook and verified that the add-ins had been properly installed and were working correctly with Act!. We made sure that the data admin and the staff member understood the issue and that they were happy with the solution, then we ended the support session and let them get back to work. At Caldere, our tech support team has been working with Act! for many years. We combine our unusual depth of experience and intelligent grasp of systems with a willingness to go the extra mile in identifying and resolving the problems that stop you from being productive. Call us if you’d like us to be your first line of defense when unexpected things happen. More details about the solution we successfully applied in this case study can be found in the Act! Knowledgebase. Now in Act! v19.1, Premium subscribers can connect directly to popular eCommerce solutions! 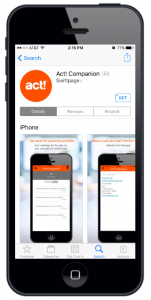 In response to user feedback, Act! v19.1 has put out several updates that you’ll want to incorporate into your installation. 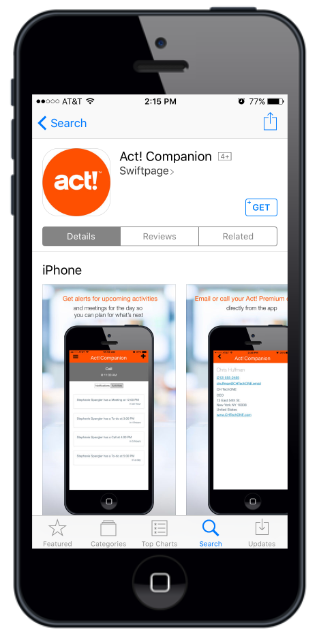 Make sure you have all of the new functionality and experience enhancements that make Act! the right solution for your business. Contact us to learn more about how to upgrade to v19.1 and get the latest technology working for you! Power BI leads the pack again! Miguel Martinez, Sr. Product Marketing Manager, recently published this post in the Microsoft Power BI blog to call attention to some astonishing news about the platform. 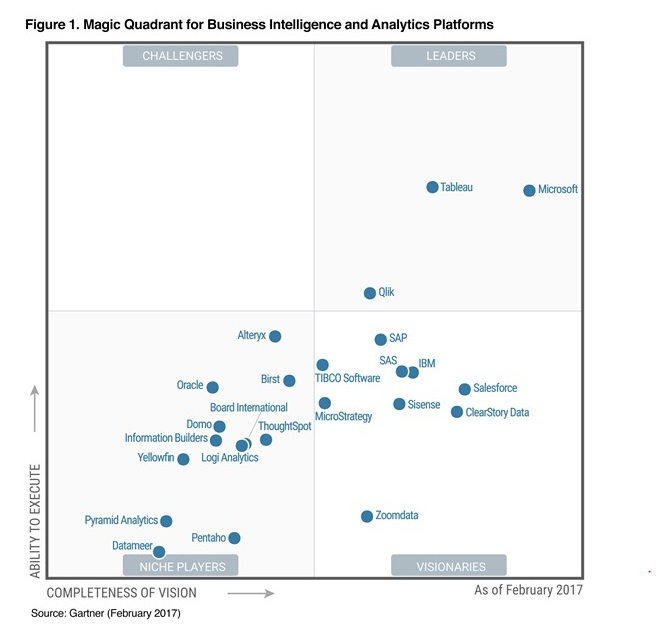 Microsoft Power BI general manager Kamal Hathi has confirmed in this post in the official Microsoft blog that Gartner* has positioned Power BI as a Leader in their 2017 Magic Quadrant for Business Intelligence and Analytics Platforms for the tenth consecutive year (see diagram to left). Across all industries, organisations recognise the power and opportunity that come with the implementation of a fast, effective analytics and data visualisation tool. The ease of use of the Power BI platform and the simplicity with which users can share insights in real time are key reasons why we use and recommend it to link to and make sense of the wealth of data locked in an Act! database. At Caldere, we think Power BI is the right choice to optimise our Act! database, and we’d like to show you why. Microsoft has shown a huge commitment to the Power BI project. Their roadmap for the future includes new ways to collaborate with users and continually upgrade the platform. 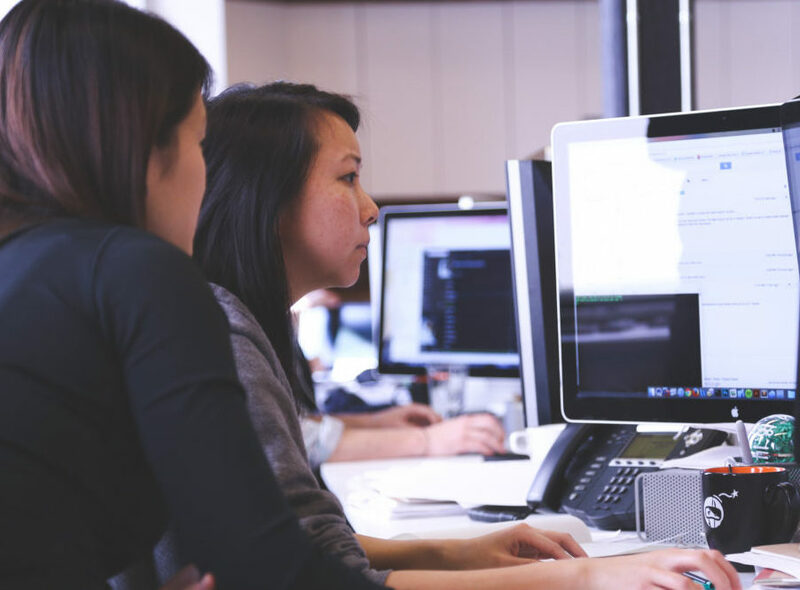 We are confident that implementing Power BI along with a strong database will help any business, especially in the SME sector, gain a critical edge over their competitors. Don’t forget to check out our video demonstration of how to quickly and easily connect an Act! database to the Power BI desktop.